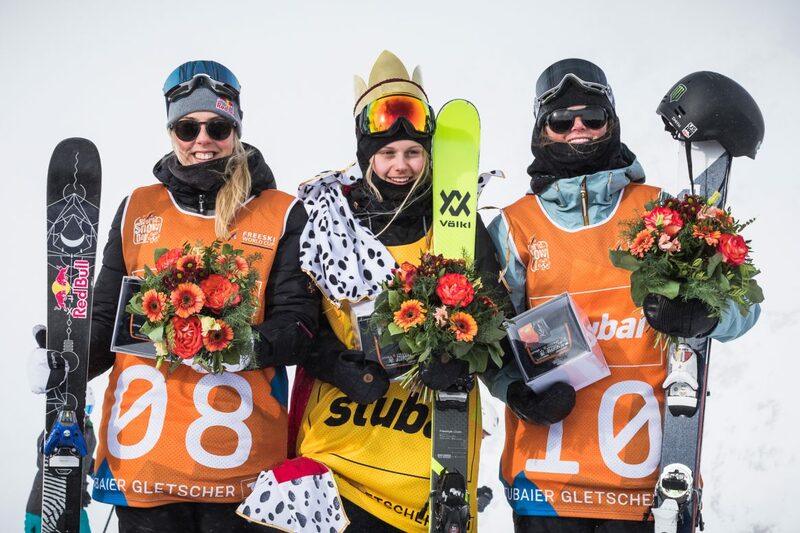 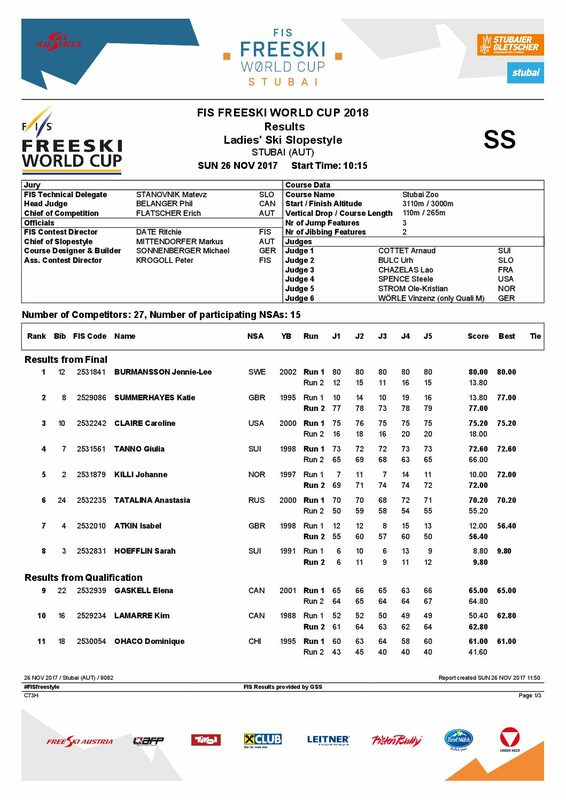 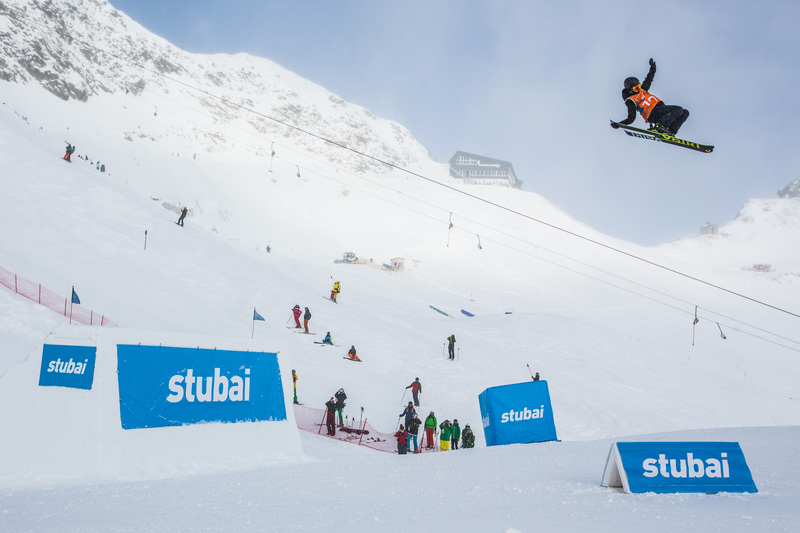 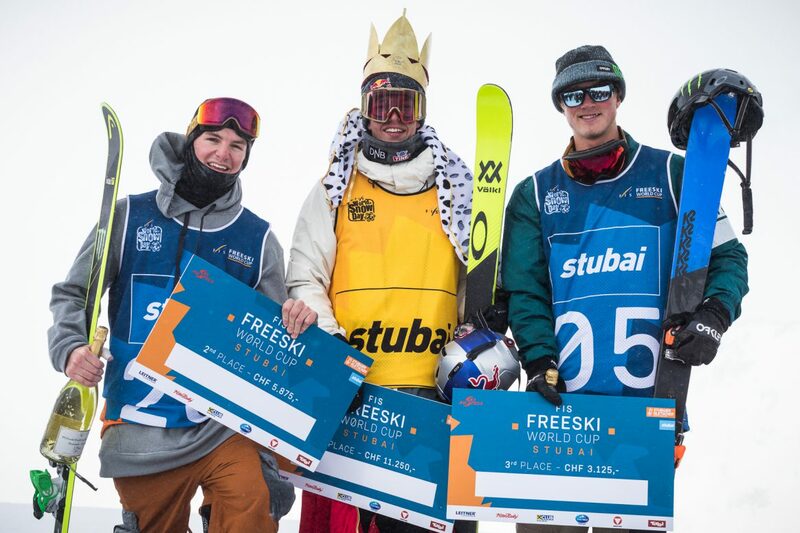 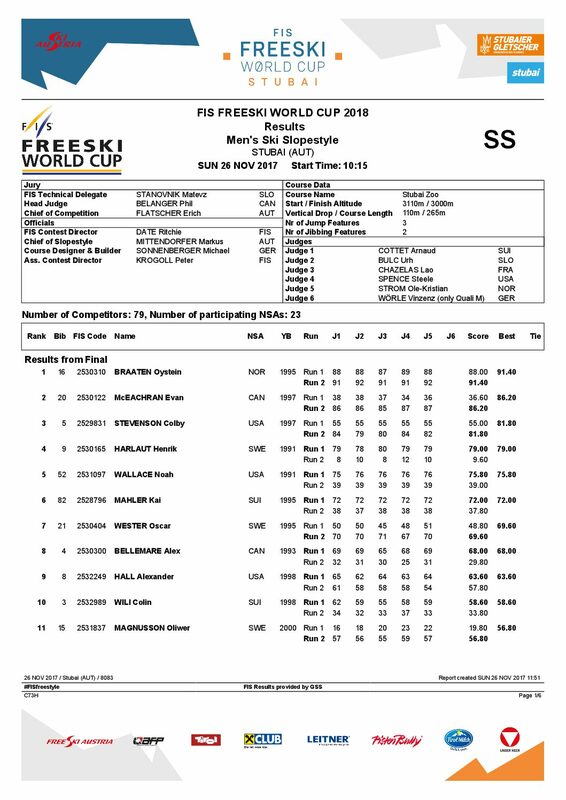 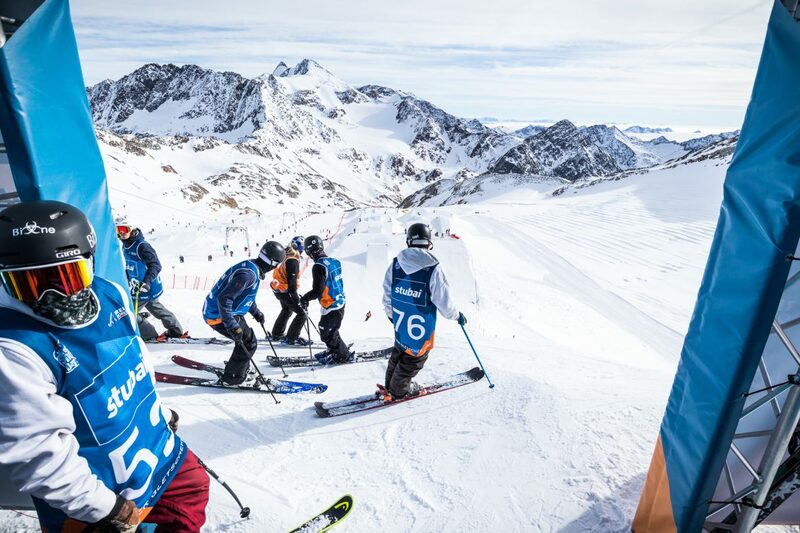 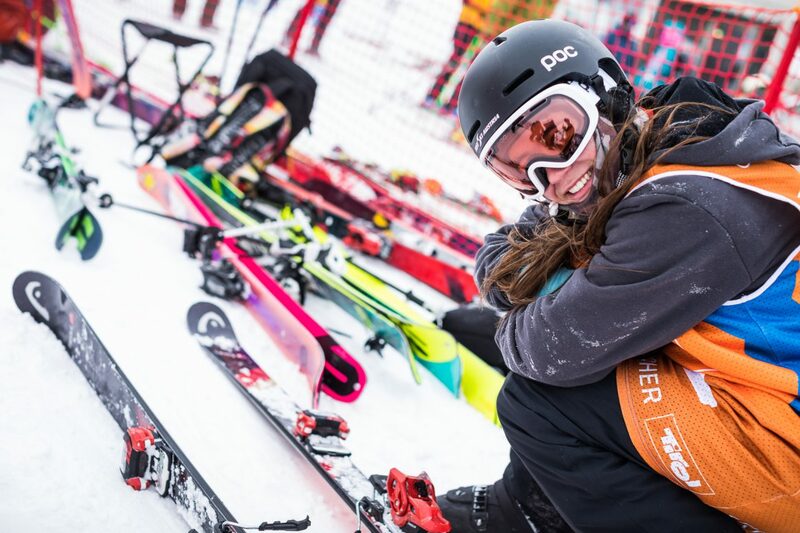 The first FIS World Cup slopestyle event in the Northern Hemisphere this season wrapped up today on Austria’s Stubai Glacier in challenging conditions, with Øystein Bråten taking the top spot for men and Jennie-Lee Burmansson winning the women’s contest. 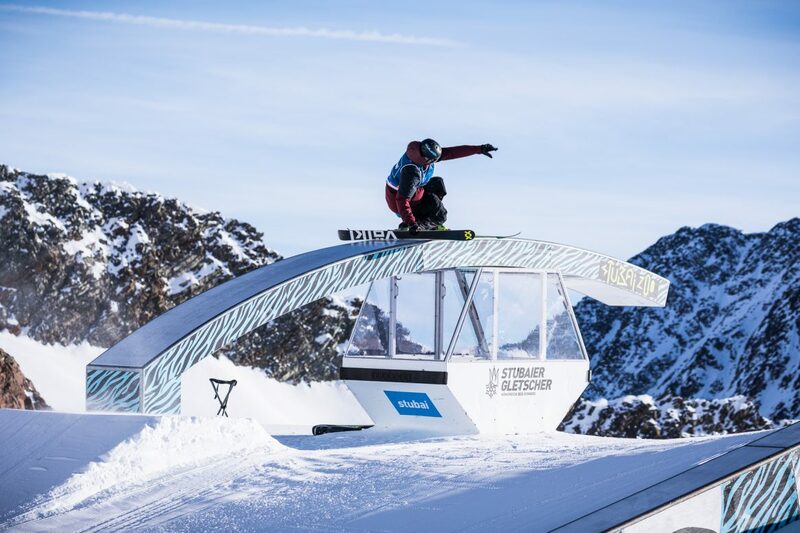 Evan McEachran of Canada and Colby Stevenson of the United States rounded out the men’s podium in second and third place respectively, while Great Britain’s Katie Summerhayes and American Caroline Claire took second and third place on the women’s side. 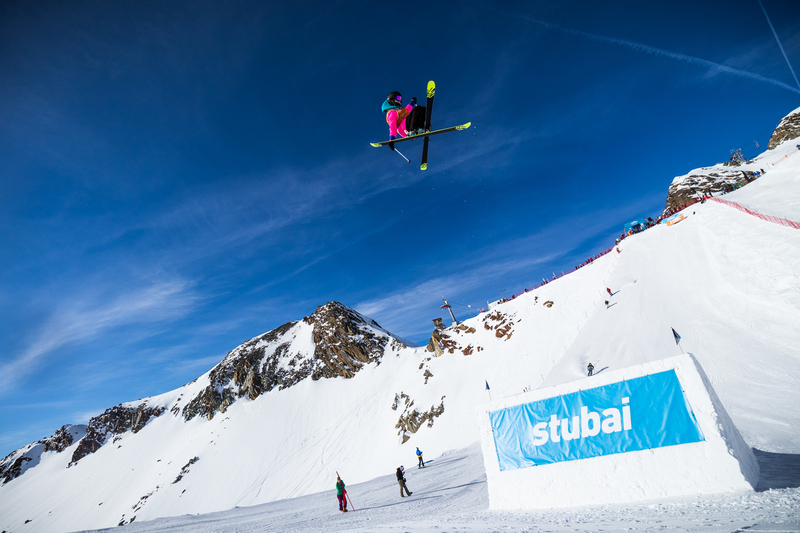 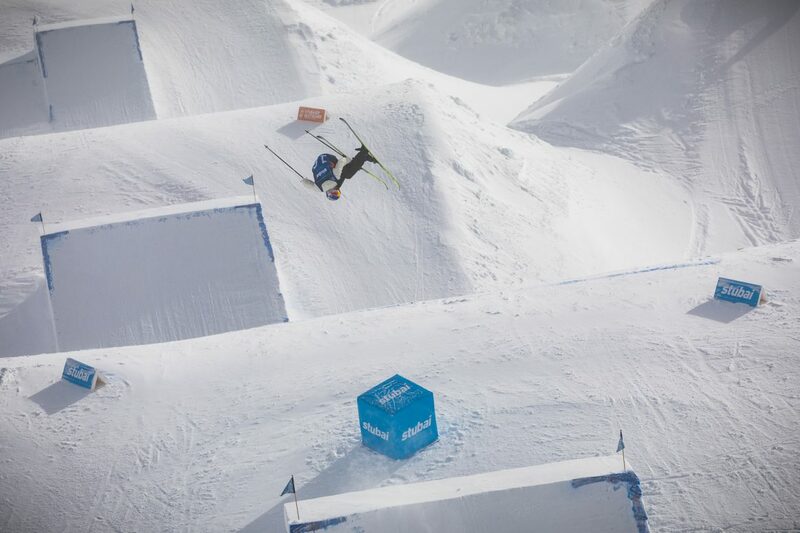 The next FIS World Cup slopestyle takes place at Font Romeu, France on December 21-23. 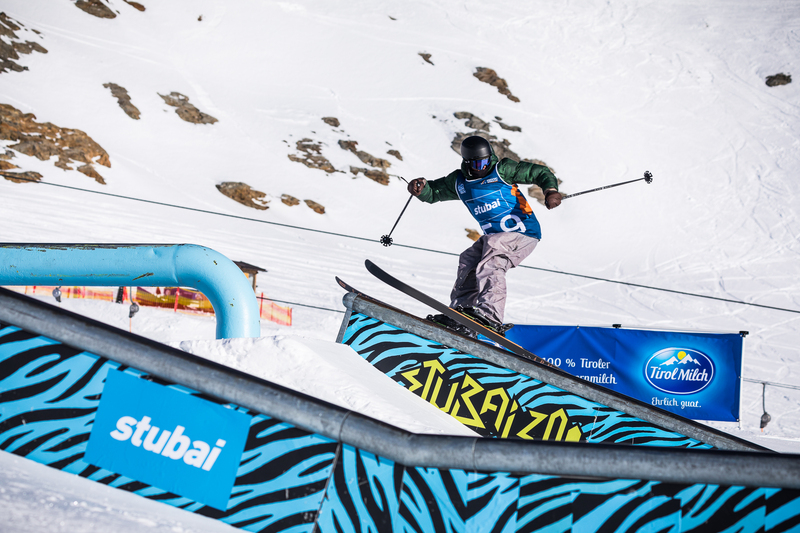 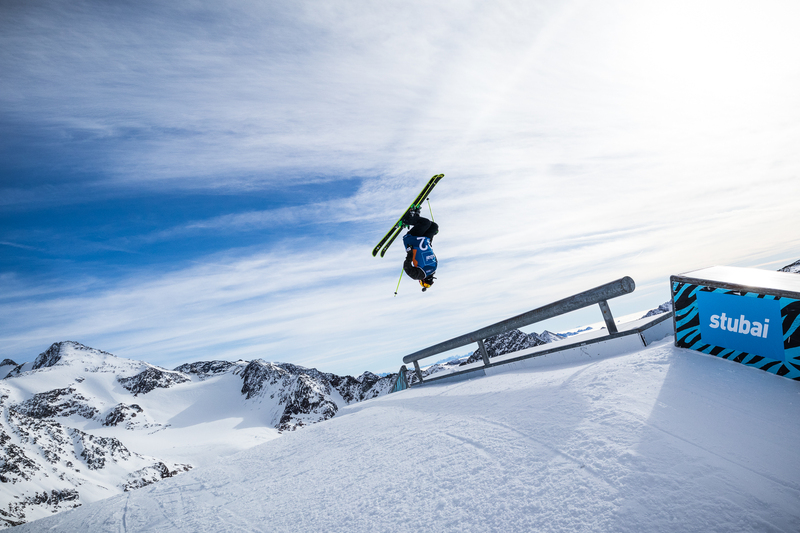 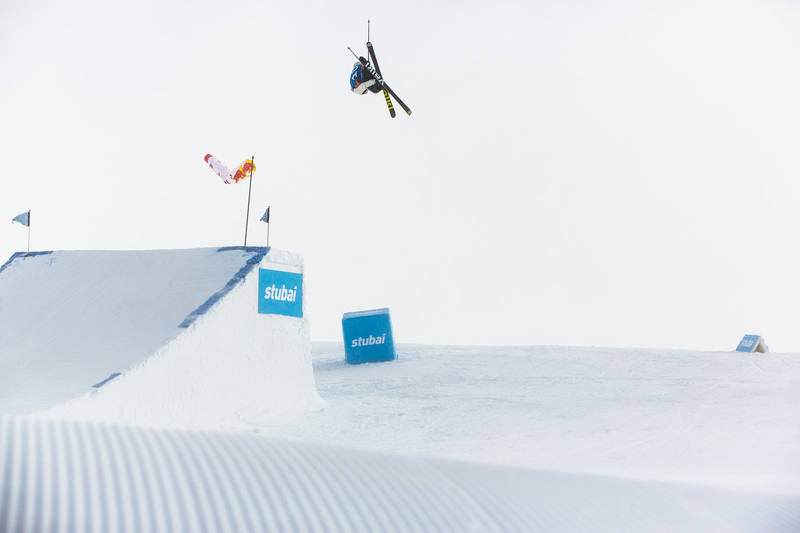 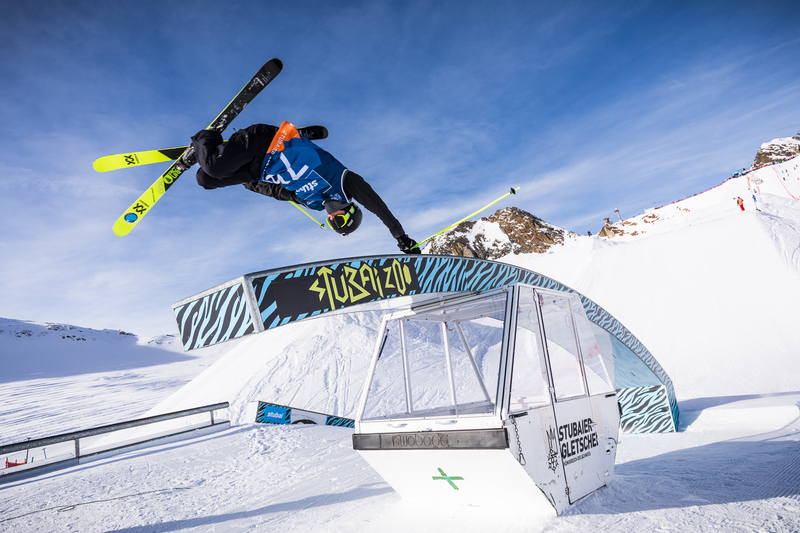 The slopestyle course in the Stubai Zoo terrain park will remain open to the public until December 10.